Spending an evening staring at the stars and contemplating the mysteries of the universe may be a common pastime for many, but actually trying to solve them is an entirely different undertaking. Astrophysics and space science expert Ioannis Haranas, an adjunct professor in Wilfrid Laurier University's Department of Physics and Computer Science, has spent the past four years teaching undergraduate physics courses and conducting research on topics including Mars dust and its effect on Martian satellites, testing various theories of gravity within our solar system, information physics and gravitational biology, and biomedical physics. It was in a quantum mechanics course taught by Haranas that students Sheldon Van Middelkoop (BSc '17) and Connor Martz (BSc '17) found their passion for astrophysics. They reached out to Haranas for research opportunities that would help immerse them into their studies. "Research opportunities are a natural part of university undergraduate study and very important preparation for graduate studies later on," said Haranas. "Connor and Sheldon are hardworking and persistent students, and both active members of the CARGO lab directed by Dr. Ilias Kotsireas. Giving up in spite of all the new concepts that they had to learn was not in their vocabulary. I could simply see the urge for learning in these students and that inspired me as well." Research, especially at the undergraduate level, requires a major commitment from a professor in order to mentor, support and inspire their students to excellence throughout the process. "These researchers inspire and motivate students to pursue their goals and dreams," said Martz. "I'm extremely grateful that I met the people that I did while I was at Laurier. It forever changed my life for the better, and no words can explain what it means to me." "Dr. Haranas was and still is one of the great mentors of my career in physics," said Van Middelkoop. "He really went out of his way to make sure we understood the topics and helped me frame a picture of what I wanted out of my career in physics." "Ioannis is a knowledgeable, wise and kind-hearted man who wants only the best for his students," said Martz. "I always wanted to study astrophysics and he taught me a lot of useful skills, including how to convey information to people and how to use online resources to maximize the efficiency of my research." The collaboration between Haranas, Van Middelkoop and Martz resulted in the paper entitled, "The Poynting-Robertson effect in the Newtonian potential with a Yukawa correction," published in the journal Astrophysics and Space Science in December 2017. The paper seeks to understand how gravity works in long ranges, such as in the solar system. The Poynting Robertson effect is essentially what happens to tiny objects in orbit around the sun. "Because the sun is so highly luminous and radiates such a large amount of energy, it can cause a radiation pressure which is exerted on celestial bodies," said Van Middelkoop. "This has no effect on large bodies like planets, moons, or asteroids, but it comes into play for very small objects like dust particles. This pressure causes a loss of angular speed around the sun." While radiation pushes particles away from the sun, gravity pushes larger particles toward the sun, creating a constant fight between radiation and gravity. Hideki Yukawa, a theoretical physicist, developed an Yukawa potential in order to explain nuclear forces. The same potential appears in current gravitational theories. "We wanted to see how the Yukawa contribution to the equation, which describes the energy in the system of orbiting bodies, affects the orbits themselves," said Martz. Their paper was able to correctly account for the energy and motion of two-body orbits while also accounting for known irregularities that can occur, without leaving the realm of classical mechanics. Haranas says that the paper investigates a classical problem of an existing solar system disturbing force that affects the orbit of particles, something that had not been investigated so far under this gravity correction. Van Middelkoop is currently pursuing a Master of Science specializing in experimental condensed matter physics at the University of Western Ontario. 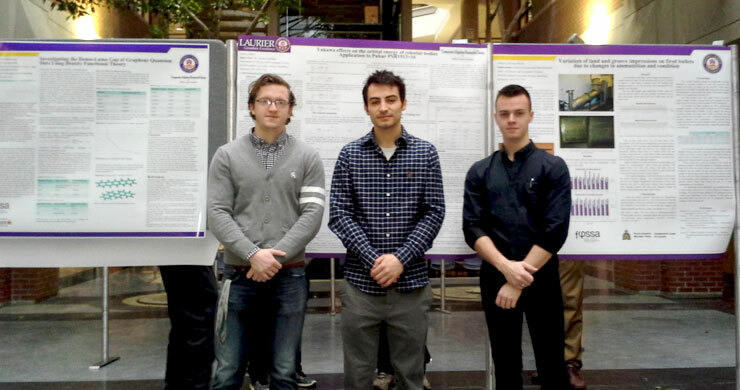 "The experience of writing these papers at Laurier undoubtedly helped an enormous amount when applying to my graduate studies," said Van Middelkoop. "It showed that I can participate in high-quality, publishable research." Martz is now undertaking a Master of Science in astrophysics at the University of Waterloo. "This research was very significant for me, as this was the only real astrophysics research I had ever done," said Martz. 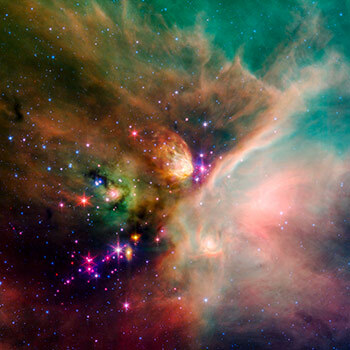 "It made me realize that the dream I had of studying the universe as a child was my calling all along. This was one of the main reasons that I even decided to pursue further education in academia and even more specifically astronomy and astrophysics." Both Van Middelkoop and Martz are still working with Haranas on completing two more papers, one of which has already been submitted for publication. "Without people like Ioannis Haranas and other mentors, I would have no idea what I would be doing with my life right now," said Martz. "These researchers inspire and motivate students to pursue their goals and dreams. I'm extremely grateful that I met the people that I did while I was at Laurier. It forever changed my life for the better, and no words can explain what it means to me."